Soft Skull Press, 9781932360578, 255pp. 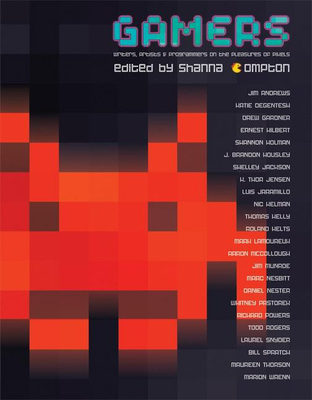 In "Gamers, " writers, artists, scholars, poets, and programmers talk about what gaming means to them and discuss the growing impact of video games on fashion, fiction, film, and music. Essays feature a glittering mix of topics from the esoteric to the purely entertaining: gender identity in relation to gaming, video golf as a meditative exercise, Ms. Pacman versus The Sims, the similarities between writing fiction and programming, the confessions of a video poker junkie, and much more.